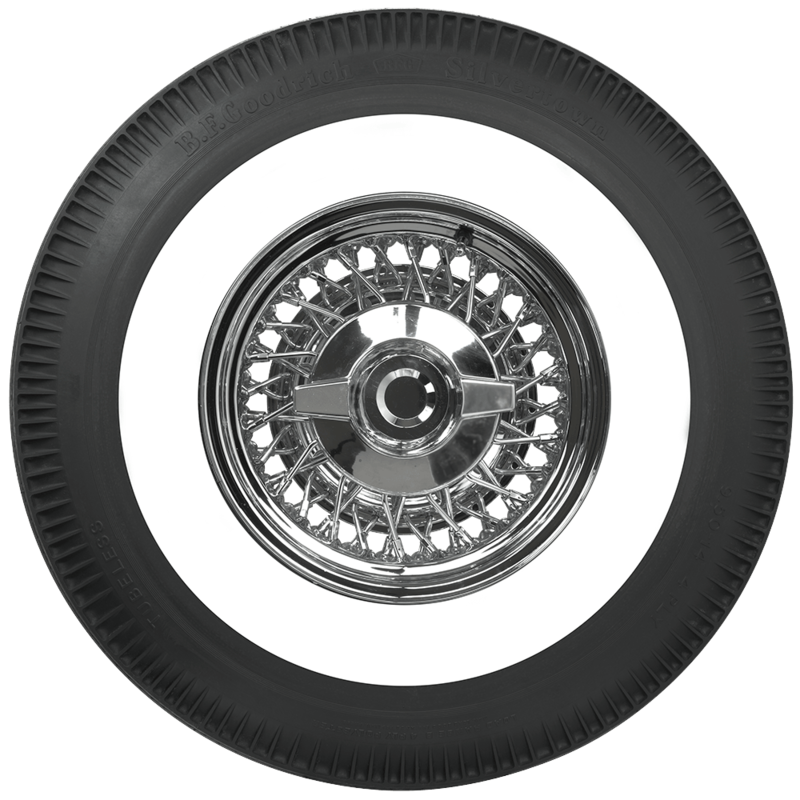 These beautiful classic BFG whitewall tires have stylish pie crust upper sidewalls and authentic tread designs. 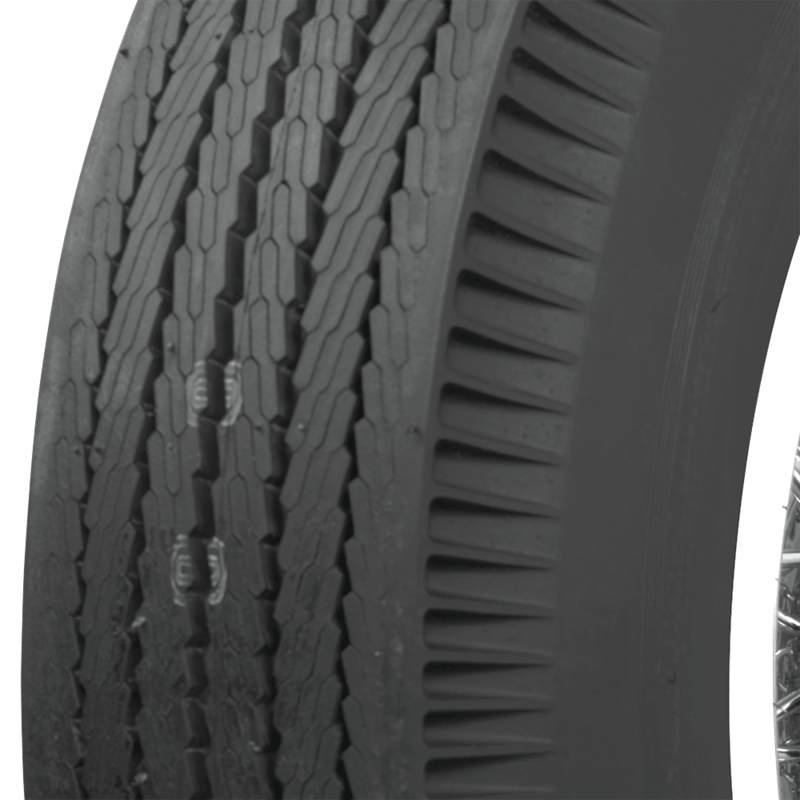 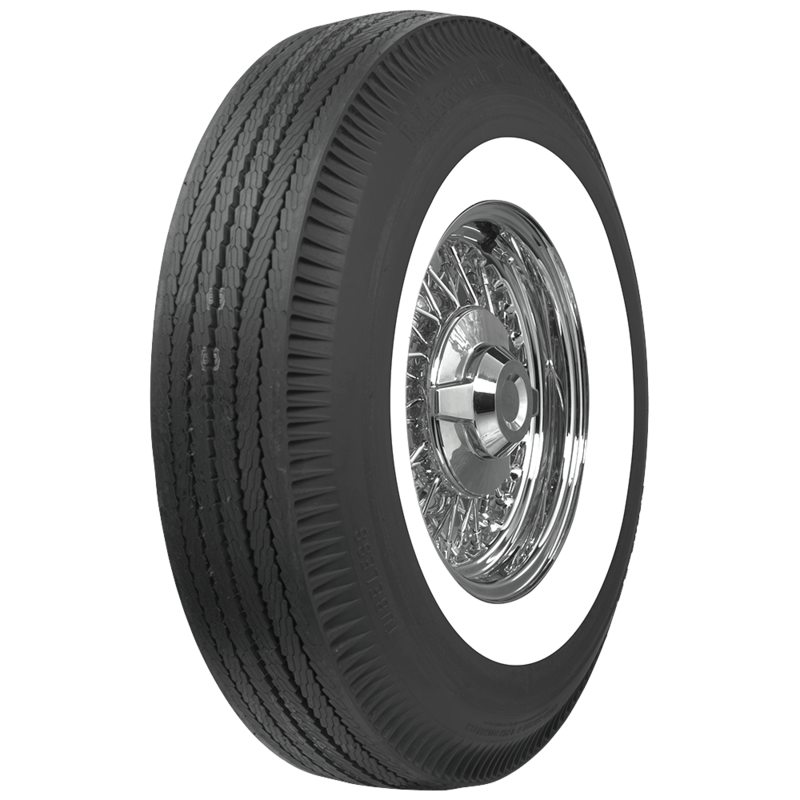 These tires are constructed as genuine whitewalls from the first step for a high quality finished product. 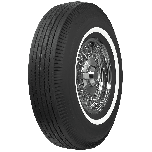 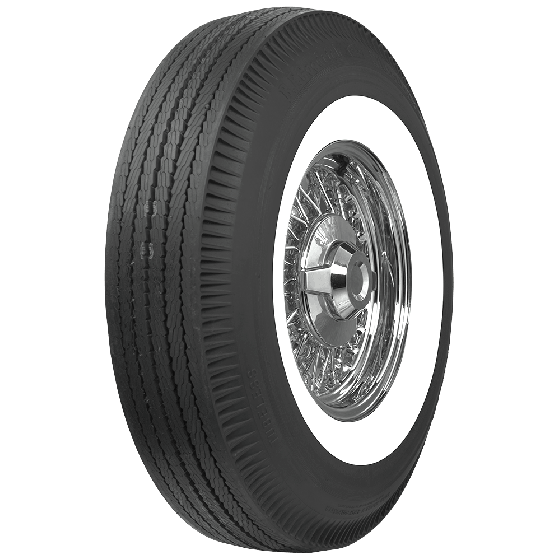 BF Goodrich Bias Ply pie crust wide whitewall tires are also available with narrow whitewalls for later model classics.